Then she made...: Busy Me and a Happy R.A.K. I've been a busy gal lately and I wanted to show some quick visuals that I've been working on and share a cool little R.A.K. that has me smiling. If you've been reading for awhile you may remember the "Courage" pendant. I did a tutorial on it last summer and made it in honor of my dear friend and my mother-in-law. Both women were courageously fighting breast cancer at the time. And, to top it off, I love that a very kind woman, who also has fought the cancer fight, order several of these to hand out to others who are courageously fighting. I've been so touched by the thought of this random act of kindness that I smile every time I think about it. She wants to lift others and spread encouragement. I can not even express how much I love that. 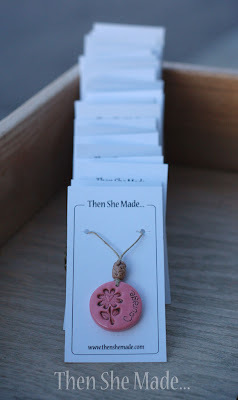 It touches my heart and I'm thrilled that she chose my design to be apart of her kind deed. I started working on these last Friday and have made 21 in total. 15 for her and a few extra for good measure. I love them and am so excited for her to receive them. 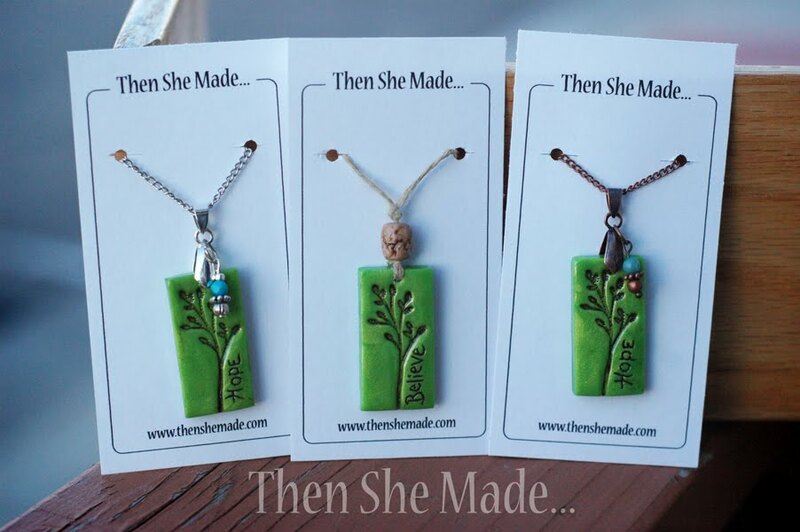 She also ordered a couple of other pendant design. 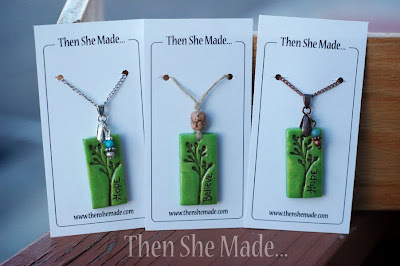 One of them was the green pendant below, the one in the middle. You may remember that I introduced these "Hope" pendants last week when I rolled out my Etsy shop. I first showed the one on the right, it has copper findings. It sold quickly but I also had a request for it done in hemp with a texture bead and the word "believe" instead of the word "hope". I also had a request to make it with silver findings, see the one on the left. I love the custom finishes and seeing the three different pieces all together before they got shipped out to their new homes was kind of cool. 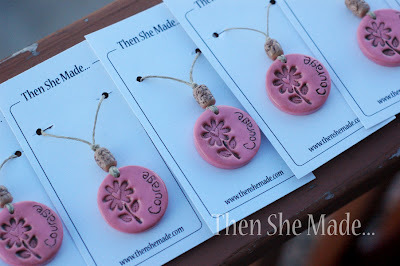 If you are trying your hand at making some of these clay pendants, this a good visual on how you can take the basic design and make it more personal to you by customizing the findings. So, anyway, it's been a busy week but an awesome one at that!